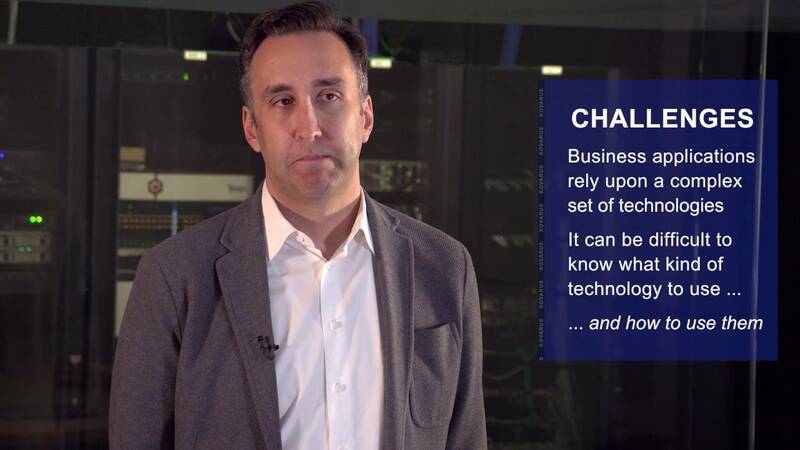 Simplify, standardize, consolidate, virtualize and operate IT as One through converted operations. 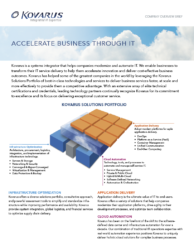 Kovarus is a systems integrator that helps companies modernize and automate IT. We enable businesses to transform their IT service delivery to help them accelerate innovation and deliver cost-effective business outcomes. Kovarus has helped some of the greatest companies in the world by leveraging the Kovarus Solutions Portfolio of best-in-class technologies and services to deliver business services faster, at scale and more effectively to provide them a competitive advantage. With an extensive array of elite technical certifications and credentials, leading technology partners continually recognize Kovarus for its commitment to excellence and its focus on delivering exceptional customer service. Application delivery is the ultimate value of IT to end-users. Kovarus offers a variety of solutions that help companies modernize their application platforms, drive agility in their development processes, and optimize team collaboration. Kovarus has been on the forefront of the shift to the software-defined data center and infrastructure automation for over a decade. Our combination of traditional IT operations expertise with real-world automation experience positions Kovarus to uniquely deliver holistic cloud solutions for complex business processes. Kovarus offers a diverse solutions portfolio, consultative approach, and powerful assessment tools to simplify and standardize infrastructure while improving performance and availability. Kovarus provides system integration, global logistics, and financial services to optimize supply chain delivery.